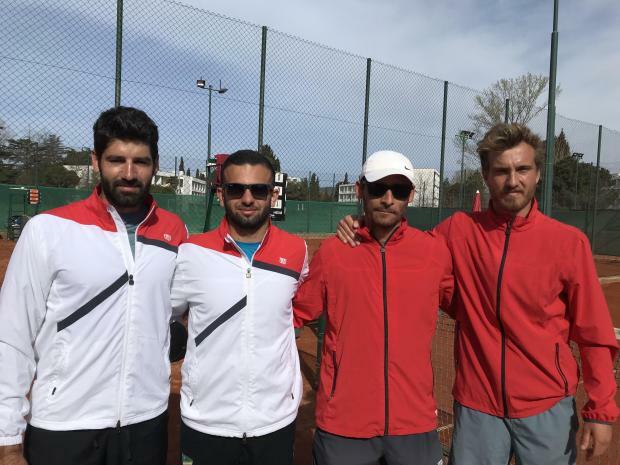 The Malta Davis Cup team in Montenegro. The men's tennis national team were off to a strong start in the Davis Cup when they brushed aside Kosovo 3-0 in Montenegro on Wednesday. Omar Sudzuka had the better of Burim Bytyqi 6-4 6-1 while Matthew Asciak breezed past Granit Bajraliu 6-0, 6-2. Asciak then teamed up with Matthew Cassar Torregiani to white wash Bytyqi and Zulji 6-0 6-0. Today, the Maltese team will face Moldova. The Moldovans were also off to a positive start when they beat Liechtenstein 3-0.